Occasionally, we do have items for sale. If the item has been restored, we will make note of it in the description. The Disney villain you love to hate! Cruella De Vil in bed plotting against the adorable 101 Dalmatians. This piece is rich with details, as you can see from the photos. A must for any 101 Dalmatians fan! 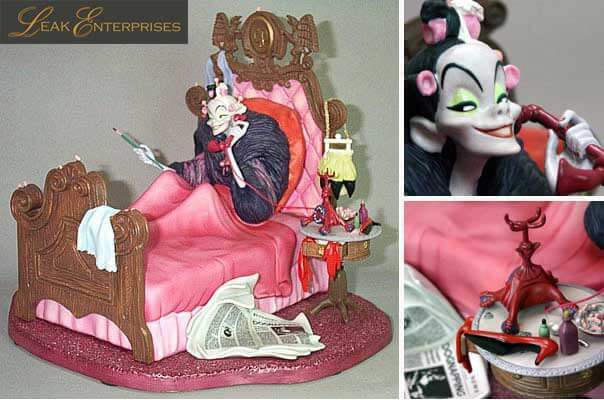 This piece is a members only redemption, closed edition (as of 8/99) from the Disney Villains Series 1999, sculpted by the wonderfully talented Patrick Romandy-Simmons. The footboard on the bed was professionally re-glued. There is no loss in value. If you are interested in purchasing this item, please contact us here. 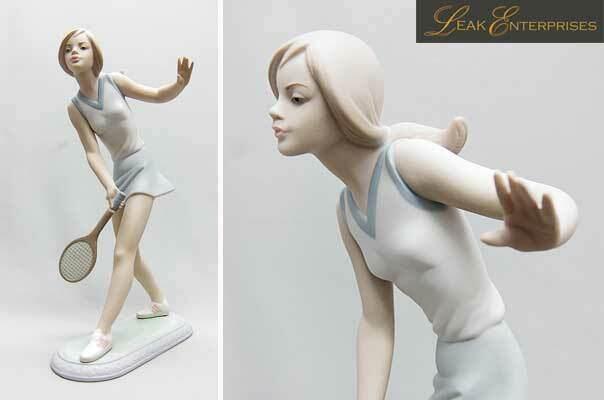 This matte Lladro 1427 entitled “Female Tennis Player” was issued in 1982 and retired in 1987. It stands 11″ tall and was sculpted by Juan Huerta. This is a restored piece (pinky finger).